Many of you remember when I rescued Francie in a state of parasitic infection and starvation a year and a half ago. Pretty sure she's not too worried about where her next meal is going to come from right now! Aww, she looks great! And with these last few days the grass will grow like crazy. That grass will get her coat nice. Looks like you have given lots of TLC. She looks happy and healthy and enjoying all of her meals now. Have a great Wednesday. Our horse isn't worried either but he needs a little grooming after all the rain but maybe it washed some dirt off as he doesn't look as clean as your girl. She's turned into the beauty she was meant to be, thanks to you Lisa! That's a nice looking pasture! geweldig zo in het hoge gras. What a pretty horse. I bet the previous owners wouldn't even recognize her. Good job Lisa! How are their other horses? In bad shape to? sweet! love her healthy dappled coat! Oh my goodness! She looks GREAT! 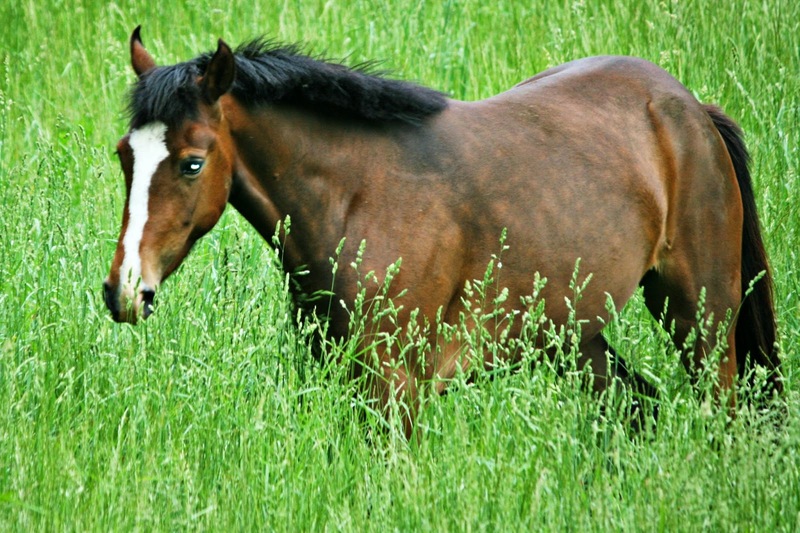 She is beautiful and that grass is soooooooooo green - what a great shot! She is beautiful! thank you for saving her life. She looks so healthy and beautiful! I bet the neighbor's are happy to see her looking so healthy too. At least, I would hope they are... She looks great! She looks awesome and she is so blessed to have you! I am happy for her! Well look at her!! She is looking healthy now.